I was thinking this morning about an idea I had and I think I’ve found a way to make it even better. I think. I have had quite a few people ask me for help this year with being an ICT coordinator and wanting to see what I was doing or wanting some ideas of where to get started. The main reason for this is that I spent two years training teachers across Hampshire to use a learning platform and I also used to drop in lots of other tools too. I have since gone back into school and have spent the past year improving ICT in lots of different areas. In my experience, ICT is one of those subjects that tends to go to either the geeky teacher or the young keen one (they’re young, they know about this computer stuff). Although there should probably be a team of people doing it, we know that this is often not the case and people can be left on their own to run a massive subject. But it’s more than a subject, it’s also (rightly or wrongly) making sure all of the hardware is working, working out why the projector in the hall has stopped working and being asked how to use the photocopier! So I had this idea of writing a few blog posts to help new ICT coordinators get started. There might be something out there online already but I haven’t seen it. But then I had a better idea, why not combine some of the best ICT coordinators I know and get a crowd-sourced guide instead? 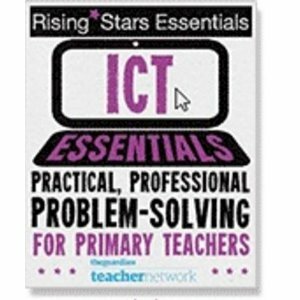 Imagine having an article written about ICT assessment with lots of examples to get teachers started? I don’t know how this will look yet, I like the idea of a book/pdf that can be downloaded but then I also like the idea of a site that can be constantly updated. What do you think? Would this be useful to people out there? Or am I thinking too big and really all we need is ‘ten top tips’ for new ICT coordinators? So what do I need? Well I’ve started a Primary Pad here: http://primarypad.com/ictguide for you to add your ideas or feel free to comment below or email/tweet me. If you could help share some ideas of things you do, link to your resources or write something to introduce an area, let me know. Sounds like a great idea. I will possibly be taking over ICT next year and would really benefit from something like ths. I think a combination of both would probably be the best way. A top 10 list and then an updated website. Good luck with the project. I will be keeping an eye on it. As a brand new ICT Coordinator, I think this is a very good idea! I think it’s a great idea. Top Ten hints are a great starter but more detailed ideas are going to have more impact. Not sure about your description of ICT co ordinator though. I am certainly not a young teacher or geeky. I hope I’m not in the wring job!!! Just stumbled across this and wondering if there is a most recent update on this ‘starter/top tips’ idea?